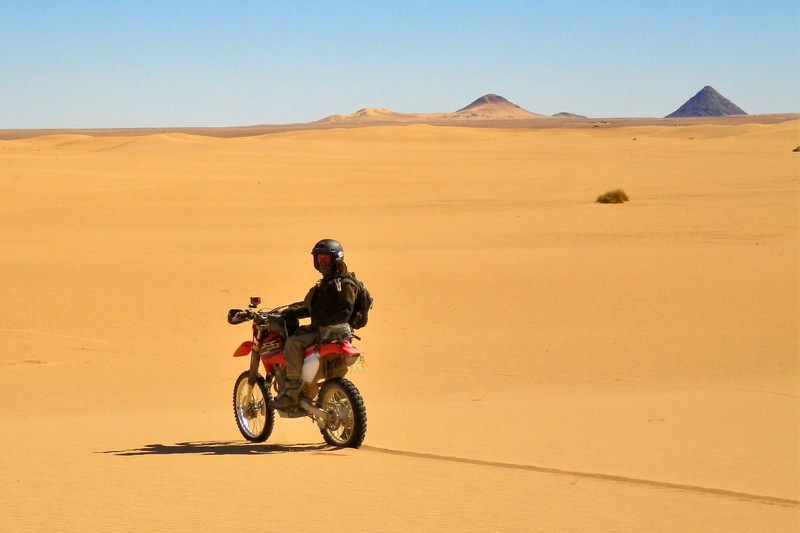 Where: 1600km off-road tour in southern Algeria, a few days in Morocco in April and another month riding in Morocco in November. A windproof and breathable trail riding/rally jacket reinforced with Du Pont™ Kevlar® fabric on the key abrasion zones. Reinventing the trail riding jacket, via the tracks of the Trans Euro Trail. For decades the trail rider had very limited options when it came to riding jackets. Either big bulky motorcycle kit that was restrictive and heavy, or lightweight outdoor gear that offered little protection. It always seemed like too much of a compromise. 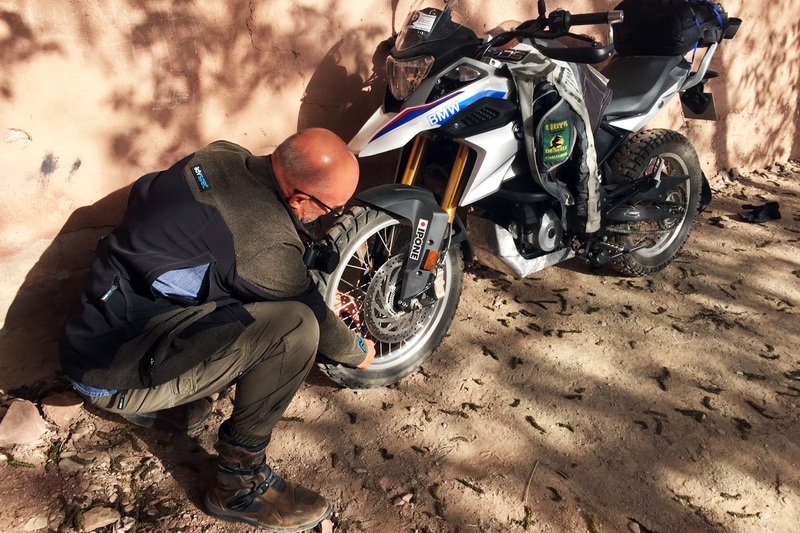 The Linesman Jacket is the culmination of the depth of expertise that Adventure Spec has established helping many tens of thousands of riders travel untold miles around the world. 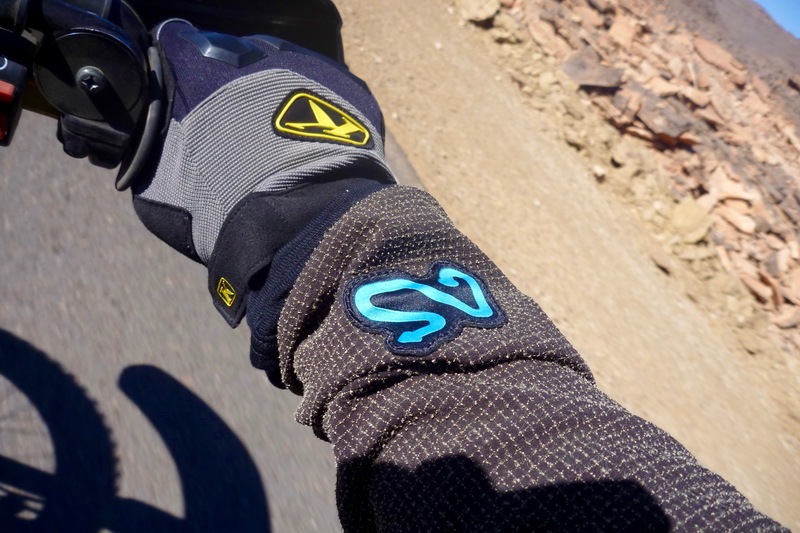 Adv Spec have lately introduced a batch of own-branded jackets including the vented Atacama Race, the similar open weave Mongolia and a softshell Linesman aimed at trail riders. 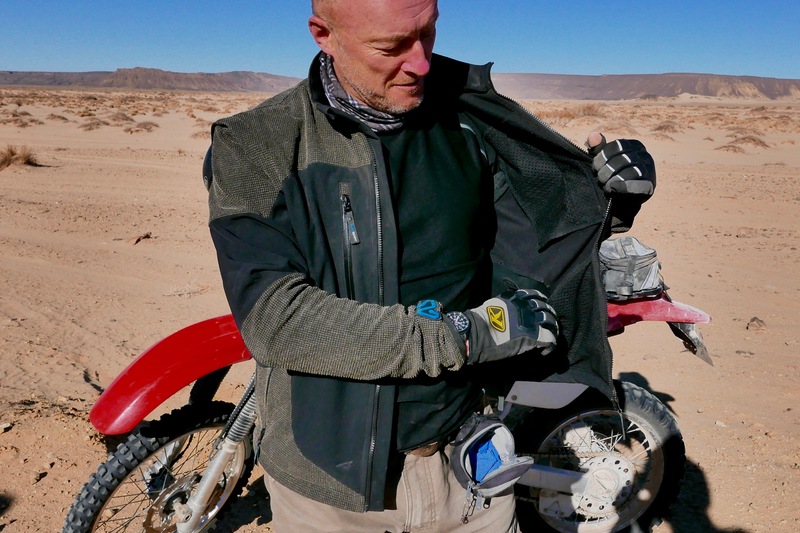 It has been named after the volunteer researchers on the Trans Europe Trail (TET) which Adv Spec support – comparable with Touratech US’s Backroute Discovery Routes (BDR); a riding gear outlet sponsoring and even under-writing well researched ride routes. 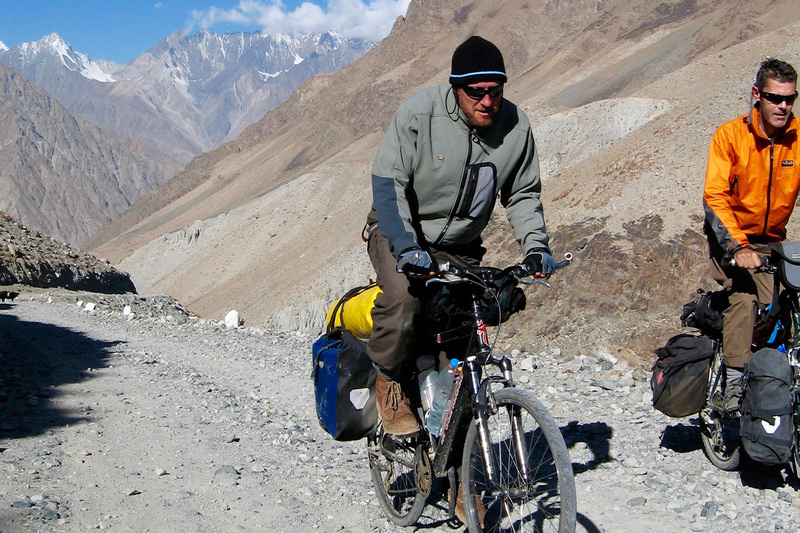 I miss my old Mountain Hardwear softshell (right), left on a bus in Delhi after a couple of epic Himalayan bike rides. 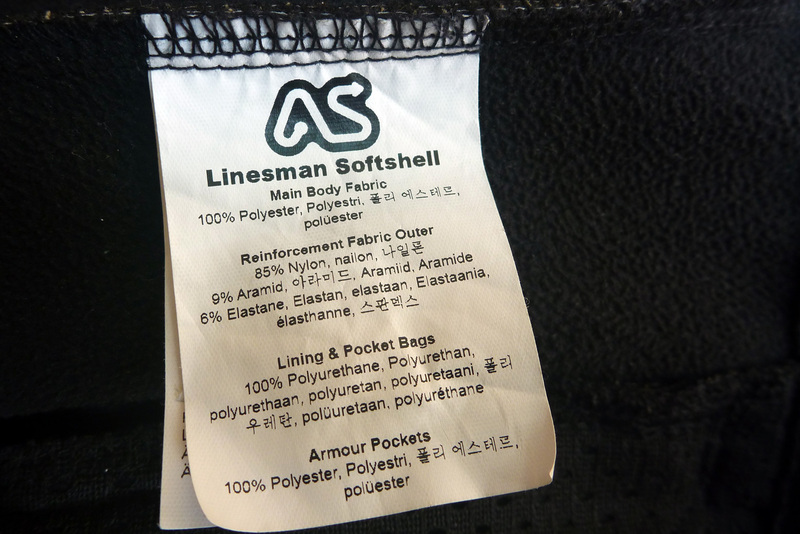 Back then outdoorsy softshell was quite pricey; a stretchy polyester outer fabric bonded (sometimes via a breathable membrane) to a soft, micro-fleece liner producing a lightweight shell that’s nice and non-rustly to wear while keeping the windchill at bay. 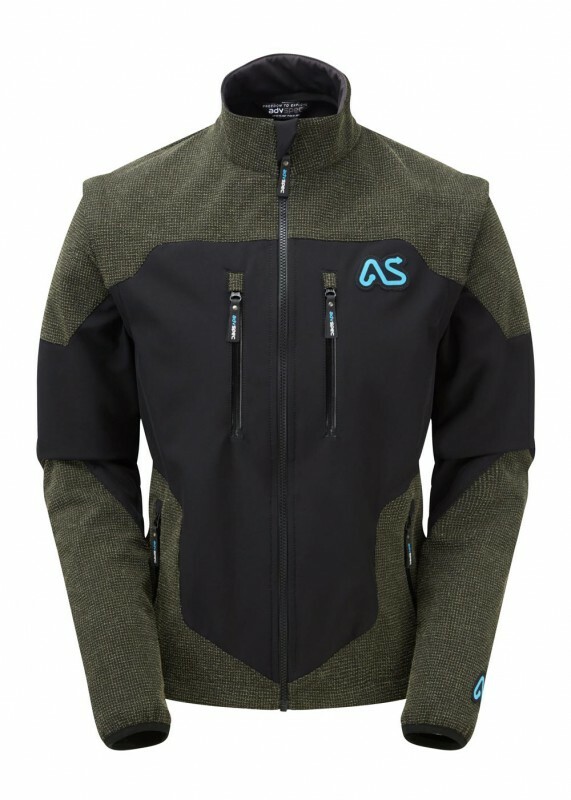 What makes Adv Spec’s Linesman different from an outdoor- sports softshell is the lack of a membrane (my MH was annoyingly sweaty; not really breathable) or even a DWR coating. 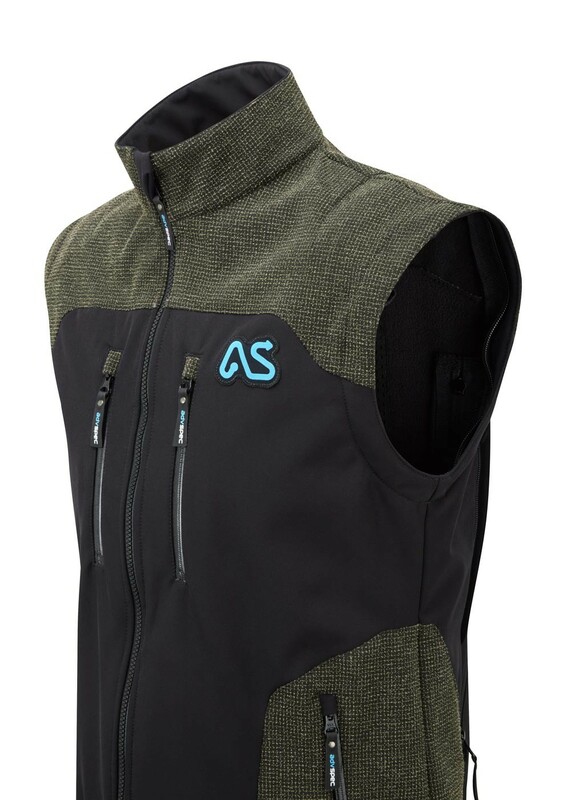 Instead you get a kevlar overlay on the high-wear or impact areas (the green parts) as well as front chest pockets which work as vents to purge through similar zipped slots on the back. Your Linesman is not intended for tearing around Brands Hatch on you Gixxer, nor touring Alpine passes. It’s aimed at trail riders who’ll be doing their riding and crashing at much lower speeds. To make that less painful there are armour pockets at the elbow, shoulders and the back. If you add in a hook or velcro tab at the top, this back sleeve could double up as a bladder holder. 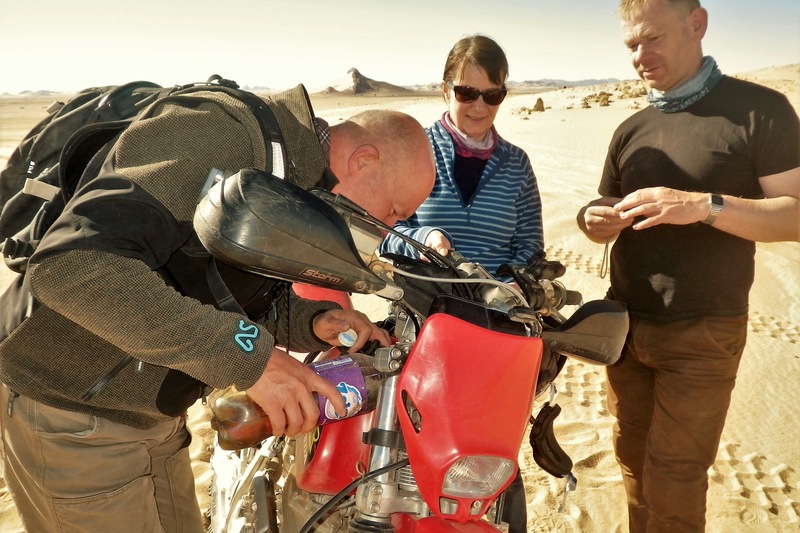 The Atacama Race comes with this feature; however it’s done, it would be good to see it added to the Linesman, even if a useful two litres might put a strain on the jacket. It’s nice to not have to use a day pack to contain your hydrator. The shoulder armour pockets thoughtfully pin up out of the way towards the collar because on the Linesman you can zip-off the sleeves. The theory is, with the sleeves stashed in the rear pouches, the jacket more wearable in hot conditions. While I’m pretty blasé about armour, I’d still rather ride with sleeves. If I’m getting stuck into a sweaty work like a difficult bike recovery, I’d probably just take the jacket off. But I can see the value in removing them while retaining the security and utility of the pockets, perhaps on a warm TET evening in southern Europe for an amble down to the village bar. 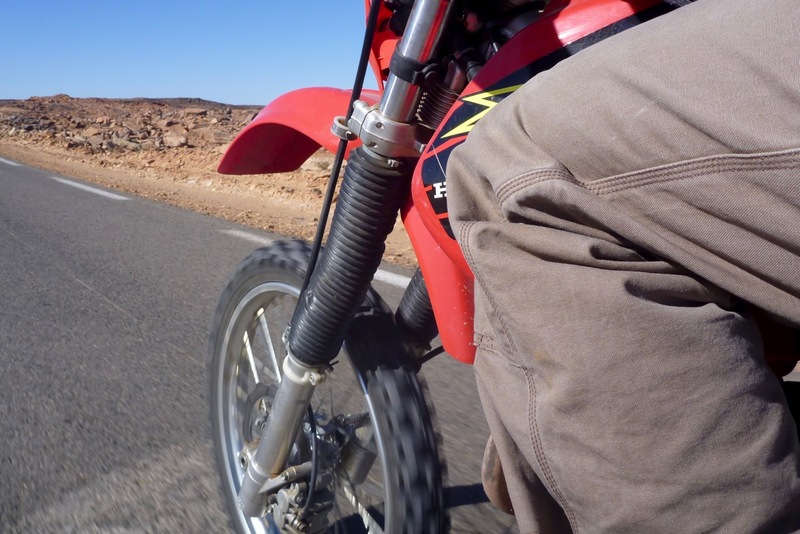 Update: In Morocco in April it was over 30°C so I did ride with sleeves removed and very pleasant it was too. The other two were cooking in their membrane jackets. There are eight pockets: two on the outside at the hem as big as your hand; two smaller vertical chest pockets which double up as vents (so probably not a place for your phone or wallet); two more zipped pouches above the back hem which you can just reach with the jacket on; and two huge and very handy mesh ‘drop pockets’ inside (below left). 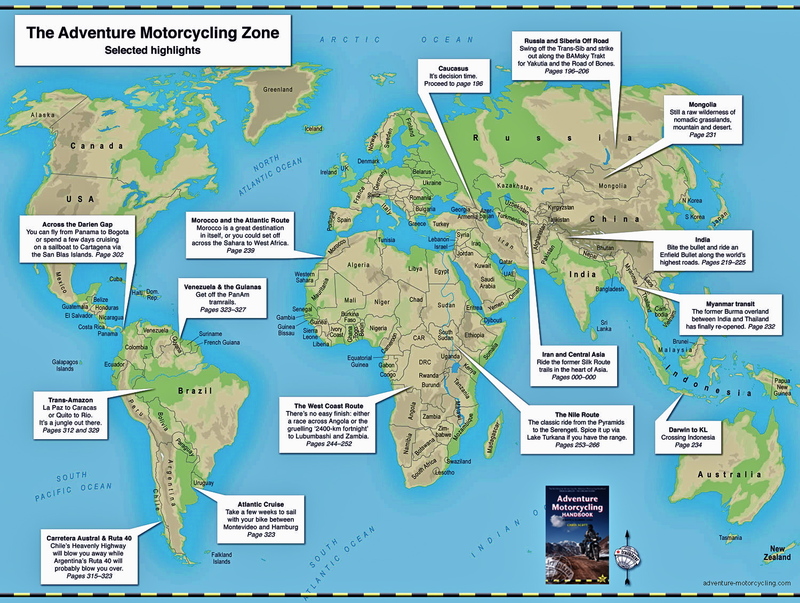 I find these most useful and have added mesh versions to my other riding jackets; an easy and secure place to stash gloves of maps without having to interact with zips apart from the front one. I can see the thinking behind water-resistant YKK zips on the front pockets/vents, but unfortunately this makes them too stiff to operate one-handed on the move and as you can see left on the top zip, the press-seal doesn’t close up fully to keep water out. Seeing as these are the more used zips, I’d prefer the conventional, freer-flowing zips as used on the rear vents and pockets (the lower zip pictured above). 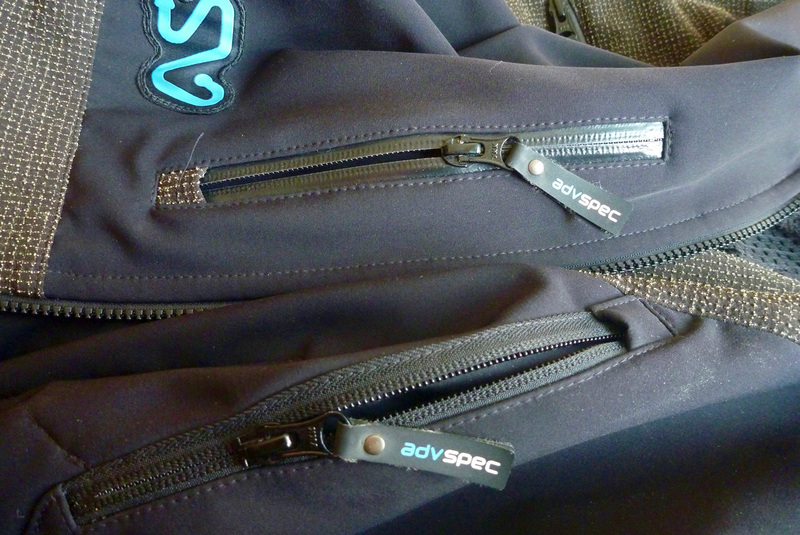 After all, the main front zip is the same. This ease of use applies especially to the front chest pocket/vents which are handy to open or close on the move while leaving the rear vents open. 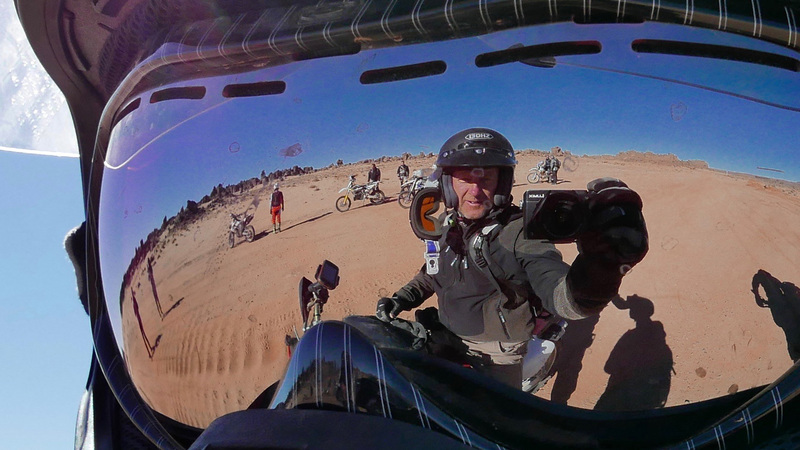 Like on my Klim Overland, these rear vents are inaccessible with the jacket on, let alone on the move; it’s often easier to ask another rider to zip you up or down. If it’s raining, valuables are better off in a waterproof pouch while you either get a bit wet or pull on a mac. What did the others wear? I have a rather casual sense of dress in the desert and prefer not to feel hot or sweaty. I don’t like being weighed down or in-your-fullface lids or synthetic legwear and I don’t mind being cold for a short while. 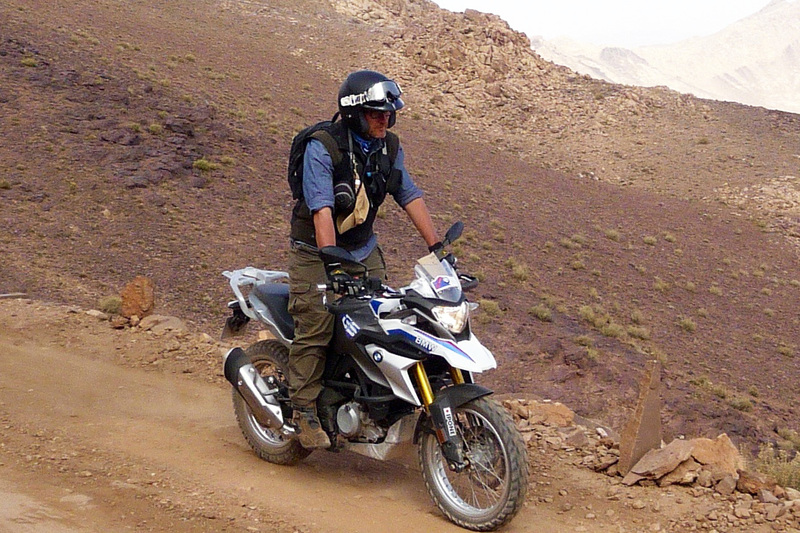 I wore: TKC Baja boots, Klim Outrider trousers, the Linesman with a wicky/merino undershirt plus a Shoei open face. I was comfortable with these choices and unlike many, couldn’t be bothered change once at the camp. 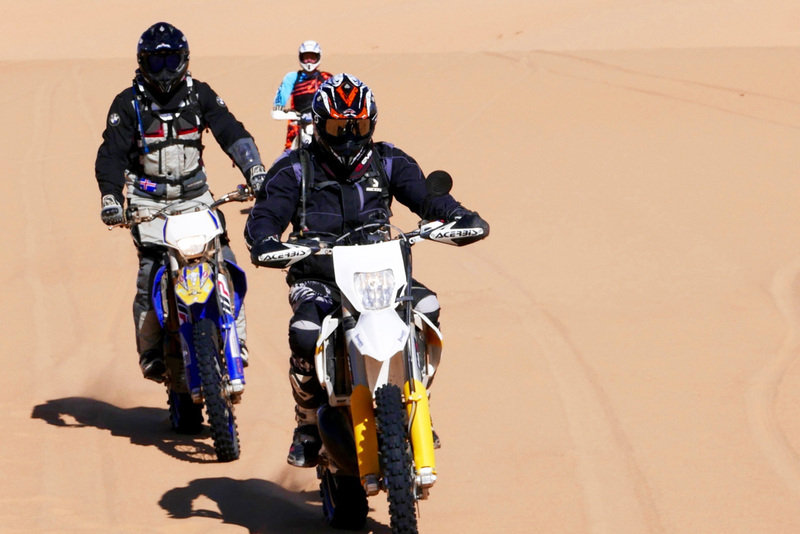 Of the dozen other riders; 10 wore full-face MX, most with goggles; 3 had neck braces; at least 5 wore full armour underjackets over vests or jackets; 7 wore Cordura riding jackets all the time and probably with armour – the rest wore jerseys most of the time; 1 wore waxed cotton + armour; 10 wore nylon riding (over?) pants probably with armour; 1 wore jeans with armour and 1 wore leather trousers. 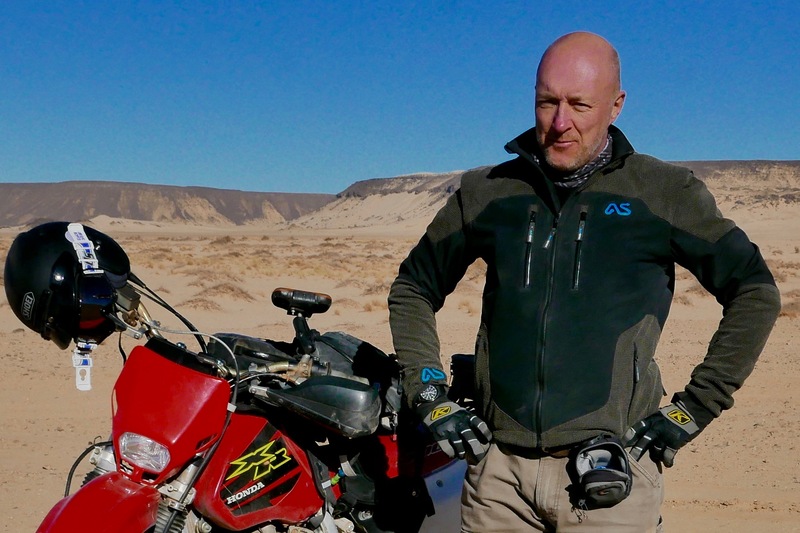 The sort of riding I did in Algeria added up to a half-days on the plateau highway at elevations up to 1600-m, regular gravel pistes, gnarlier soft sand and 2nd-gear sandy tussock oueds, short dune crossings, churned up sandy canyons, and wide-open sand sheet down at 500m, all with regular stops to allow regrouping and playing the sand. Temperatures ranged from freezing mornings to the upper-20s Centigrade. 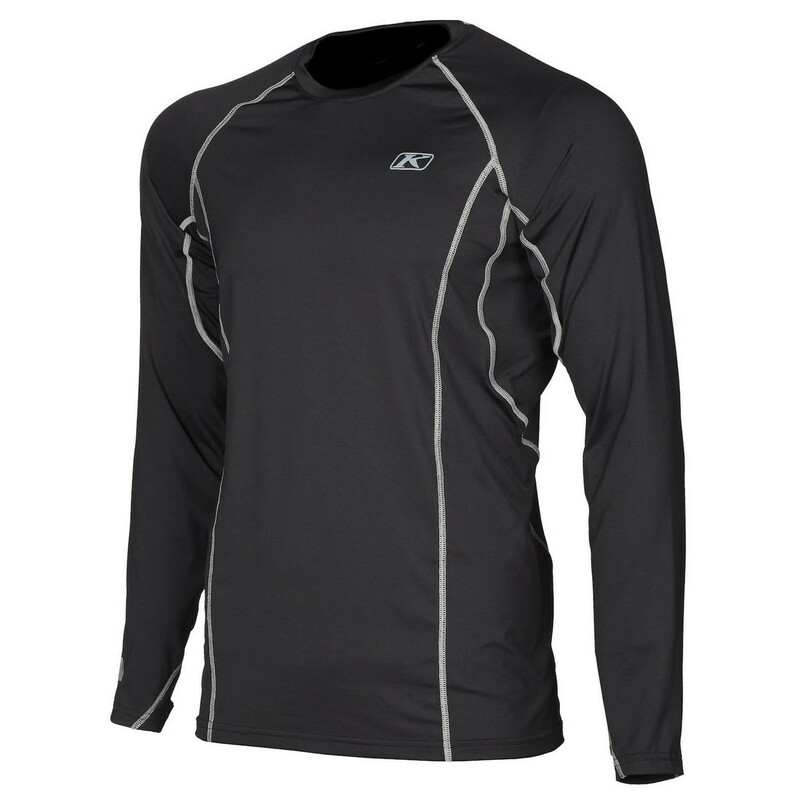 Underneath I wore a wicky T-shirt or long sleeve, either synthetic (right) or merino when chillier. That’s quite a mix of terrain, speeds and temperatures wearing similar kit; I tend to put up with short-term discomforts rather than faff about with layers. Through it all the Linesman unobtrusively coped with the occasional opening or closure of the rear vents. 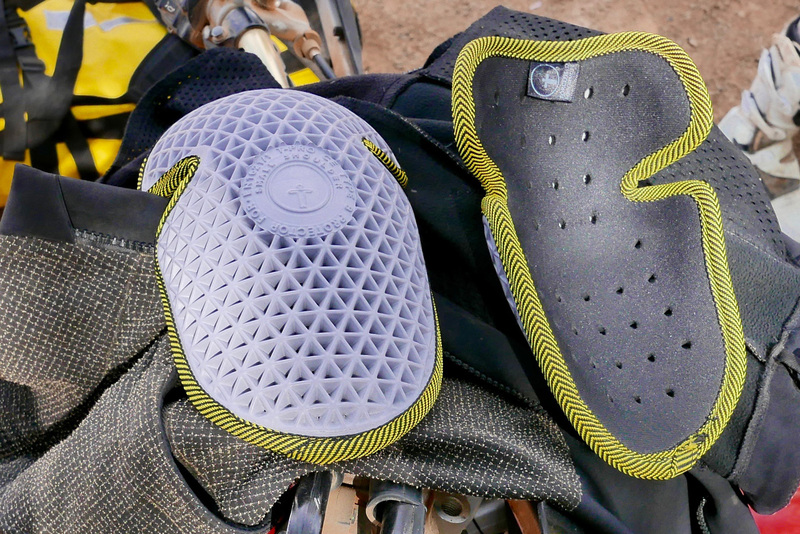 I wore mine with only Forcefield elbow armour (left). 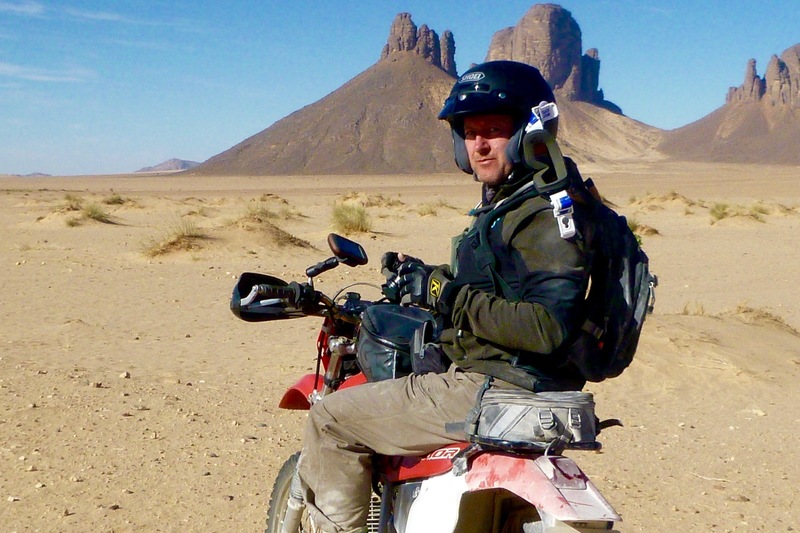 I must admit I’ve felt better crashing hard in a Cordura jacket, with or without armour. Softshell has a rubbery feel which would snag as you slide and tumble, especially on the road where thick Cordura abrades almost as well as leather. Luckily that’s not something I’ve done for decades and on this trip it was just the usual slow speed spills. Best of all, I like the Linesman’s plain styling while not being yet more boring grey or black. Others, including non-bikey types, commented on the stylish, look too; something you can wear off the bike without handing over a pizza. Maybe it’s the design or maybe it’s the stretchy fabric which see a total lack of adjustability using cinch-cord, poppers or velcro. The plain elasticated cuffs and neck don’t need doing up or pining down once the Linesman’s on. It all helps enhance the look without detracting from the jacket’s function. It’s probably not the only biking jacket you’d want to own, and you do wonder how durable the softshell will be after a couple of years of inevitable scuffing, but the Linesman does represent a new type of biking jacket with as much optional impact protection and storage as a typical Cordura-and-membrane coat, but more on-the-road windproofing than the fully vented jackets like Revit’s Cayenne Pro, Klim’s Inverse or Adv Spec’s own Mongolia and Atacama. 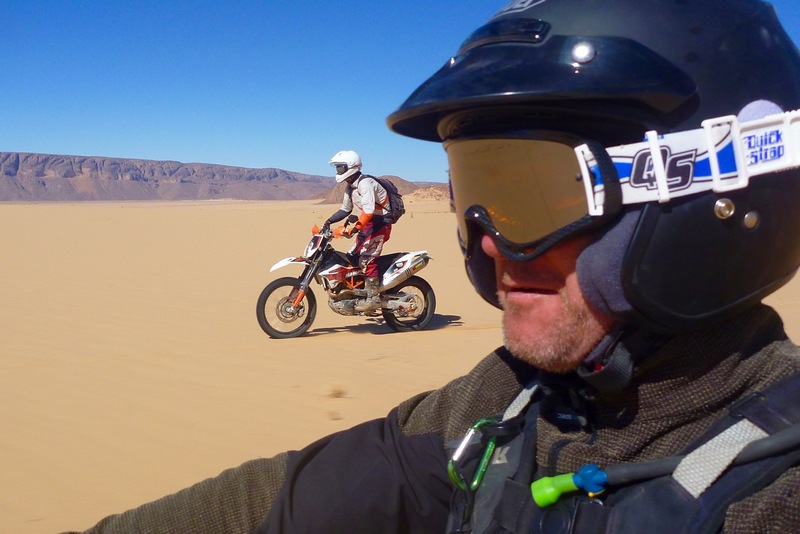 This entry was posted in Adventure Motorcycling Gear Reviews, AMH News, Jackets & Trousers and tagged adventure spec, algerian sahara, Forcefield armour pads, Klim Outrider pants review, linesman jacket, riding jackets, shoei open face, TCX Baja boots, xr400. Bookmark the permalink.